Happy Teachers Day 2018 wishes and messages in Tamil: Our teachers are the role models who motivate us to reach the sky fearlessly and passionately. Our teachers are the second parents who take care of us in our second home, our school. So, lets make these noble people feel special on this day. Find WhatsApp status, gif images, wallpapers, quotes, greetings, SMS and Facebook posts to wish your teacher in the Tamil Language. Happy Teachers Day 2018 wishes and messages in Tamil: Teacher’s day is a day to honour and give tribute to our teachers who have taught us the values of life and made us what we are today. A teacher acts like a friend, as a parent, as a philosopher and a guide who shows us light when we are on an unknown path. 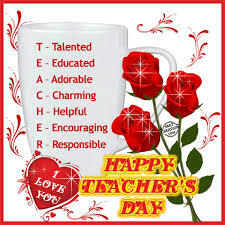 Teacher’s day is celebrated worldwide on different dates and in India, we celebrate it on the September 5. 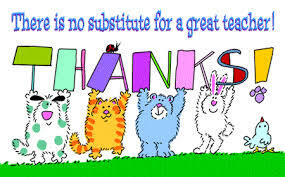 However, teachers day is universally accepted and celebrated on October 5. 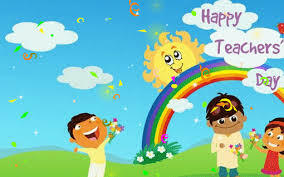 The tradition of celebrating teachers day started in the year 1962. In India, this day is celebrated in honour of Dr Sarvepalli Radhakrishnan. He was the First Vice President and second President of India. He was a dedicated teacher and scholar who also attended a good position in the political history of India. For the endless contributions of our teachers in our lives, we should respect them and wish them a very happy teachers day in a creative and meaningful manner. 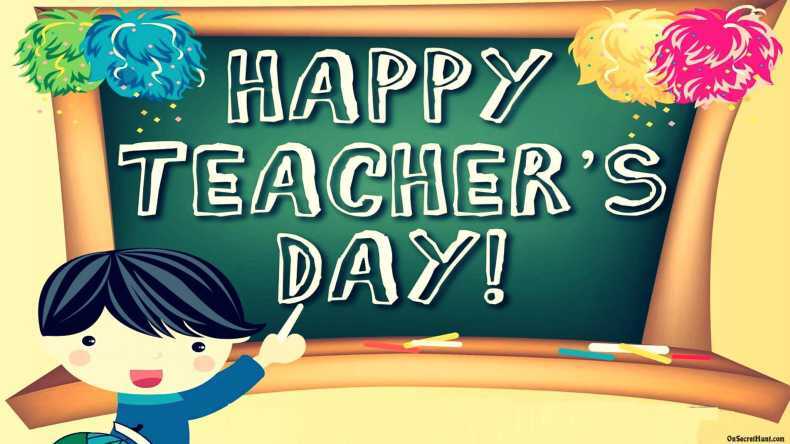 Check out our latest collection of Teachers’ day messages, WhatsApp status, gif images, wallpapers, quotes, greetings, SMS in the Tamil language to wish your teacher. Nīṅkaḷ inta ulakattil ciṟanta āciriyar. Eṉ vāḻkkaiyil nāṉ eṅku ceṉṟālum, oru āciriyariṉ vaṭivattil eṉakku oru ciṟanta vaḻikāṭṭiyāka iruppatai eppōtum niṉaippēṉ. Nīṅkaḷ illāmal, nāṅkaḷ iḻantirukkalām. Eṅkaḷukku vaḻinaṭattalukkāka āciriyar naṉṟi, eṅkaḷukku utvēkam aḷittu, iṉṟaiya tiṉam nam’mai uruvākkukiṟār. Nī eṅkaḷ āciriyar alla. Māṟāka, nī oru naṇpaṉ, tattuvañāṉi maṟṟum vaḻikāṭṭiyāka irukkiṟāy, ellōrum oruvarōṭu iṇaikkappaṭukiṟārkaḷ. Uṅkaḷ ātaravukkāka nāṅkaḷ eppōtum naṉṟiyuḷḷavarkaḷāka iruppōm. Uṅkaḷaip pōṉṟa oru periya āciriyaruṭaṉ, vāḻkkai oru veṟṟikaramāṉa payaṇamāka irukkum eṉṟu nāṉ uṟutiyāka iruntēṉ, āṉāl nī veṟṟi peṟum payaṇattai veṟṟikaramāka ceytuviṭuvēṉ eṉṟu eṉakkut teriyavillai. Eṉ naṉṟiyai terivikka muṭiyātu. Āciriyar nīṅkaḷ eppoḻutum eṅkaḷukku cariyāṉa vaḻiyaik kāṭṭiyuḷḷīrkaḷ. Nam vāḻvil nām etaic ceytālum atu uṅkaḷuṭaiyatutāṉ. Eṅkaḷ vaḻikāṭṭi maṟṟum vaḻikāṭṭiyāka iruppataṟku naṉṟi. Iṉiya āciriyar tiṉa nalvāḻttukaḷ!